With the arrival of the New Year, foodservice professionals pay special attention to what researchers predict as the next big trend for the industry. On the non-commercial side, beverages are always important, and smoothies stand out with the largest growth potential according to a recent article in Foodservice Director. Consumers are looking for healthier drink choices and smoothies answer the call with a variety of fruit, seed and vegetable ingredients. So what exactly IS a smoothie? 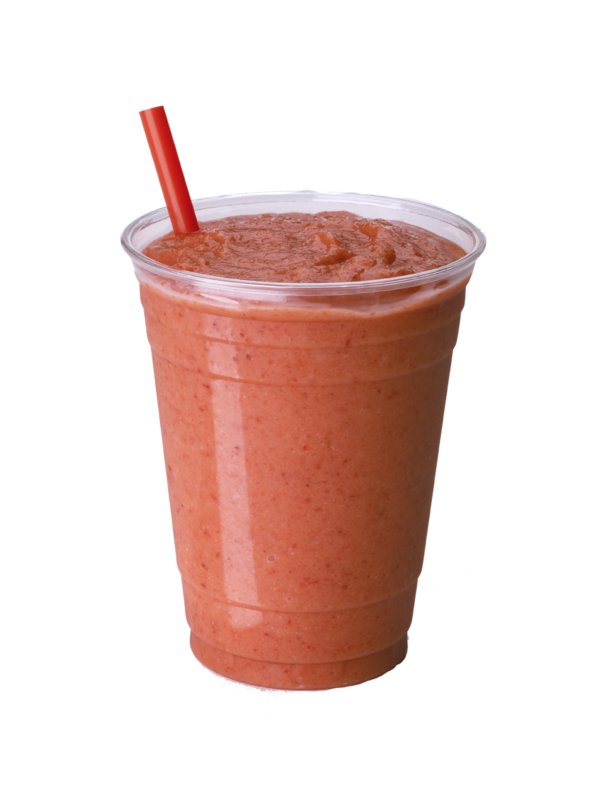 In addition to fresh fruit, many smoothies include ice, frozen fruit, syrups, or even vegetables. They have a milkshake-like consistency that is thicker than a slushie. They also often contain a dairy-component such as milk, yogurt or ice cream. What’s best in a smoothie? Anything you want: fresh or frozen fruit, vegetables, seeds, oats, protein powders, herbs, spices, yogurt, milk, juice…the ingredient possibilities are endless. The benefits of this beverage is the versatility of the ingredients you can include and as diverse as the kitchen ingredients currently on the shelf, in the refrigerator or with your local supplier or farmer’s market. Foodservice Director says that blended drinks will rule the roost in the C&U market. That makes sense as students are on the go and lean towards a quick meal or snack to keep them going. Surviving on a college budget, a $5 smoothie for a meal replacement is attractive. Also, this youthful market is flooded with information through technology 24/7. They hear the latest news on nutrition and disease prevention which greatly impacts their buying behavior and lifestyle choices. In healthcare, smoothies are an easy way for people to take in essential nutrients on their time schedule regardless of ability. 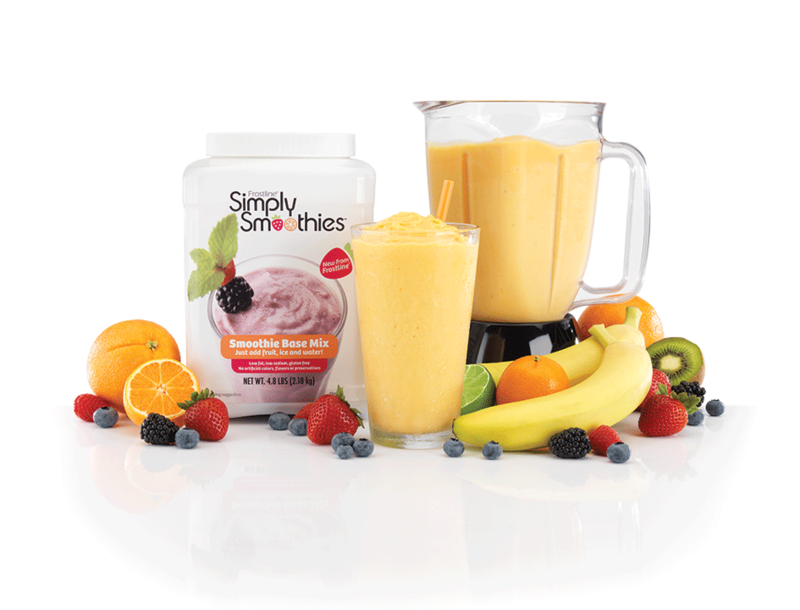 Smoothies are easy to sip, fresh and flavorful, and provide a cool, refreshing meal replacement or snack for patients, visitors, and staff. Plus, smoothies can be easily tailored to meet nutritional goals with the addition of nutrients and healthful supplements. Add celery, cucumber, broccoli or sprouts for a nutrition boost. Overall, consumers are looking for healthier drink choices and smoothies answer the call with a variety of fruit, seed and vegetable ingredients. “Superfoods” have been buzzing lately: chia seeds, coconut oil, flax seeds, Acai berries, hemp, and Cacao powder to name a few. Another trend is rotating leafy greens like kale, cabbage, bok choy, chard, beet greens, and carrot tops into these vitamin rich drinks to increase energy, detox, prevent disease, and/or slim down. 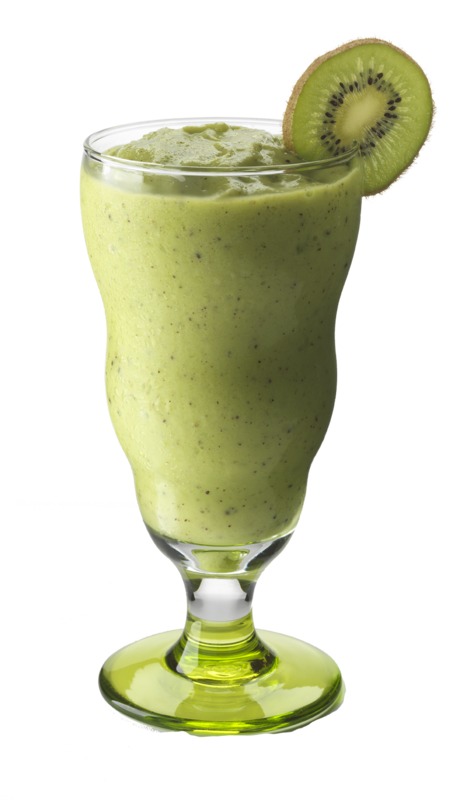 If you’re looking to add a “winner” to your 2015 beverage menu, it is definitely worth considering smoothies. Commercial and non-commercial markets show growth potential, with C&U and Hospitals showing the most promise. However, with the millennial population growing in purchase power, restaurants, fast casual, fast food and frozen yogurt and ice cream shops should be ready for increasing demand. Have You Seen a Gordon Food Service Store Near You? Big warehouse stores like Costco and Sam’s have carried products in bulk for many years but you may notice a new player in town – one that doesn’t have a club membership fee – the Gordon Food Service Store. Have you seen one? These 170 stores are located primarily in the Midwest but can also be found in Florida, Kentucky, Tennessee and Pennsylvania. For a location finder, please click here. The Gordon Food Service Store is a division of Gordon Food Service, the nation’s largest family-owned foodservice distributor. Why are we telling you about this store? Because they stock our Frostline Simply Smoothies™ base mix as well as our Chocolate and Vanilla soft serve mixes. The chain also carries DOLE Soft Serve’s soft serve mix varieties in Pineapple and Orange. If you are a restaurant, non-profit, hotel, day-care, caterer or party planner, you might check them out. After all, it’s nice to experience something new in the New Year that could save you time and money. Win-win! Gordon Food Service Store understands cooking in bulk and shopping time limitations. From the desk of Kirk Jaudes, VP Sales & Marketing, Kent Precision Foods Group, Inc.
As the foodservice industry continues to evolve, there are certain strategies that are timeless. Serving great food in a great atmosphere at a fair price is one of those tenants that create success. As we look around our industry we continue to see pioneers who step out by faith to start a business that has one of the highest failure rates in business. Yet these passionate foodies seek to find a niche in every market in our country. So how do we help them succeed? Passionate food service entrepreneurs are always looking for the latest trends. “Sustainability and waste reduction are increasingly important issues across the restaurant and foodservice industry,” according to Scott DeFife, Executive Vice President, Policy and Government Affairs, National Restaurant Association as stated in an October 2013 press release. It’s on everyone’s radar. This creates both challenges and opportunities when it applies to distribution and how food manufacturers respond to this trend. Small footprint restaurants are emerging quickly. We continue to see a great number of new restaurants opening in 1,200-1,500 square feet locations. This creates opportunities for small distributors, cash and carry stores as well as local farms to supply this type of operation. Cash flow is priority for these new entrepreneurs and high dollar drop sizes tie up much needed cash. With the large broadline distributors requiring drop sizes of $500 or more, it limits the small operator’s ability to meet these demands. And along with the smaller footprint comes less refrigerated and freezer space. This is where dry mix companies can capitalize. Dry mix products take up less storage space and offer the operator small batch options. 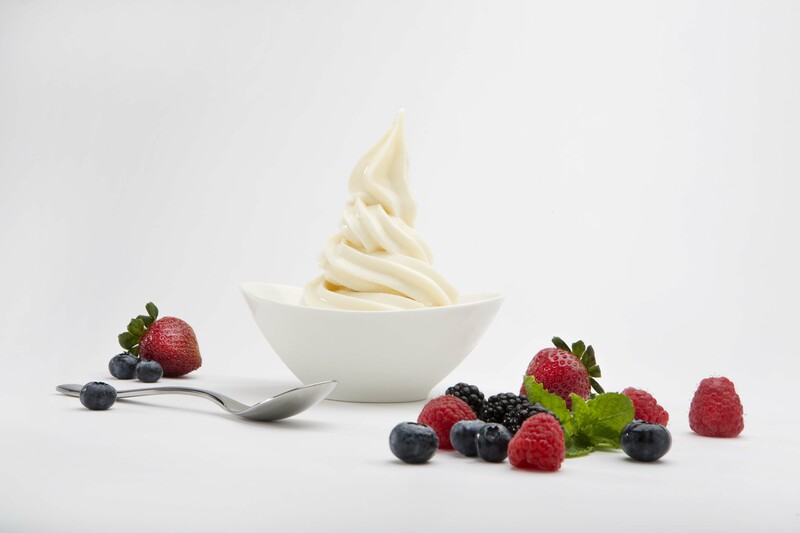 Frostline is a leader in dry mix frozen treats, offering flavor varieties, simplicity and cost control. As I stated earlier, there are foundational elements that will never change. People buy from people, and they buy more from people who take an active interest in their success. Manufacturer sales reps, broker sales reps and distributor sales reps are most successful when they bring the operator solutions. Today’s environment requires more than a good price, we need to provide menu applications that are on trend and a consulting sales approach with the end result of bringing more customers through our customers’ doors. And one last thing that should never change in a sales call is asking for the order. If we can apply these things to our daily business strategies we will all succeed. It’s near 2015 and foodservice operators are looking at predicted trends for the New Year. As the latest health and nutritional information floods the web, we know consumers will continue to demand healthier, simpler, more clearly labeled foods. Another trend we anticipate escalating in our busy world is convenience. When you combine these trends, fruit and vegetable smoothies become the perfect response to consumer requirements. According to IFT (Institute of Food Technologists), beverages remain the largest U.S. functional product sector¹. Just add kiwi, lemonade, Simply Smoothies base mix, water and ice. Does your establishment currently have a smoothie offering? If not, we think 2015 is the year to invest in a blender and start experimenting with flavor. 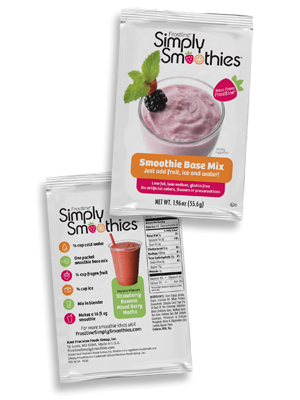 Our Simply Smoothies™ base mix is a powder base mix that makes it easy to create rich, creamy smoothies without the need for an expensive yogurt or dairy base. Your shopping list can focus on fruits (fresh or frozen) and vegetables (fresh or frozen), or perhaps you’ll find that the best flavor combinations are made with items you already buy and have on hand. Our product has been tested and blends easily in most commercial blenders but if you don’t currently own a good blender, we recommend you check out Blendtec and Vitamix. Consumer Reports’ experts agree with us, listing the top two picks as the Vitamix 5200 and the Blendtec Designer 725. Check out the complete article here. A reliable, powerful blender is a necessity for making a large volume of smoothies on a regular basis. 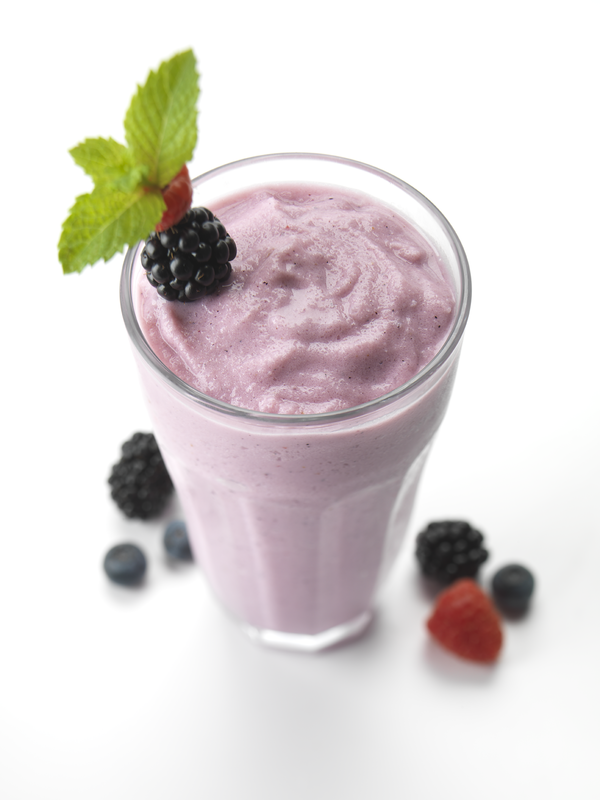 Blending ice and frozen fruit can sometimes jam or break blender blades. Obviously, this is not a welcome surprise. Also, blenders vary with longevity so making sure to research long-term durability is key. Over 30 smoothie recipes to blend. Once you have your blender and are ready to experiment, we’ve put together a recipe Idea Book as well as seasonal flyers for winter, spring, summer and fall to get you started. Colorful veggies like carrots, kale, and chard easily combine with berries and melons to make a super-food smoothie. Want to give it a whirl? 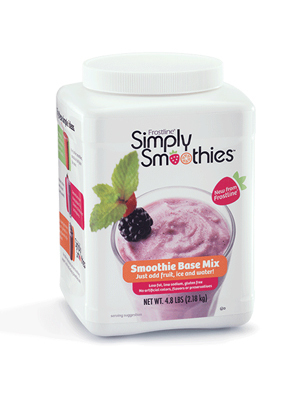 Leave us a comment and we’ll send you a sample of our Simply Smoothie base mix. It is gluten free, low fat and low sodium – a portrait of the 2015 healthy food trend.